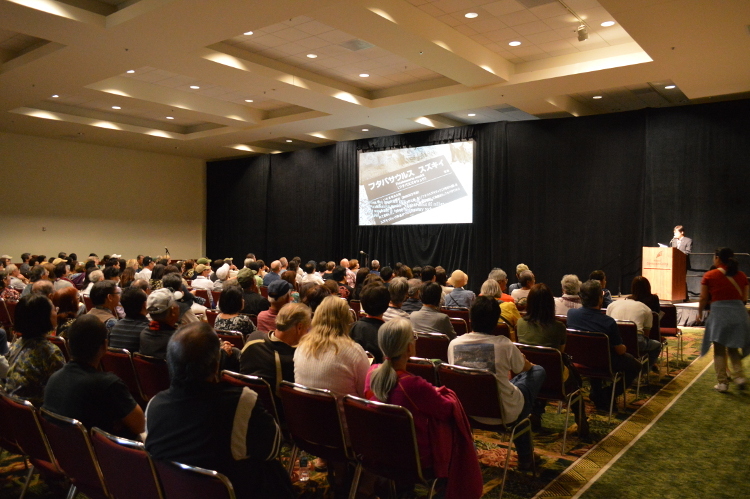 The Film Festival was held on March 7 and March 8, 2015, by the Consulate General of Japan and the Honolulu Festival Foundation at the Hawaii Convention Center. Go for Broke ~the Memories of Hawaii Japanese Niseis! The admission was free for both adults and children. 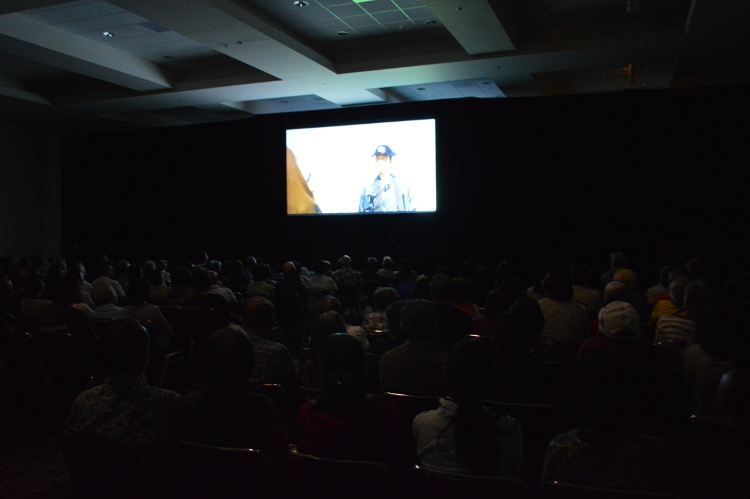 A total of 2,030 people came to our Film Screening. On the first day, the actress, Sora who played a role in the film Cry at Dusk greeted everyone on stage. 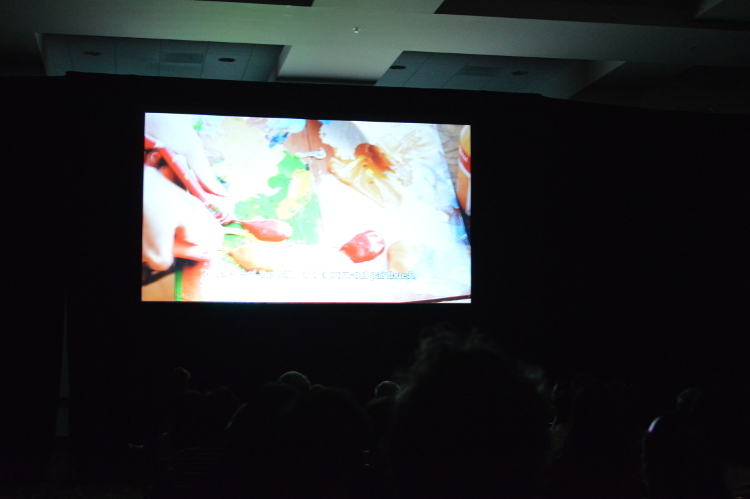 This movie was also shown at the Sapporo International Short Film Festival and Market. This is an emotional story that portrays hope between a radio personality, an insurance sales agent and a girl who is striving to become a fashion model. The setting is in Otaru, Hokkaido which was also used for a filming location. The colorful use of silver screening was selected by a film director, Nakahachi. It portrays transparency which the colors give a sense of nostalgia toward the audience. Sora said that she was sensitive for the sound and timing while filming a movie. She also shared her story that she begged to purchase her microphone to a director due to an insufficient budget. In addition, she shared her episode where she done the recordings in her closet inside a comforter. Furthermore, she was very happy that the film was shown in Hawaii. 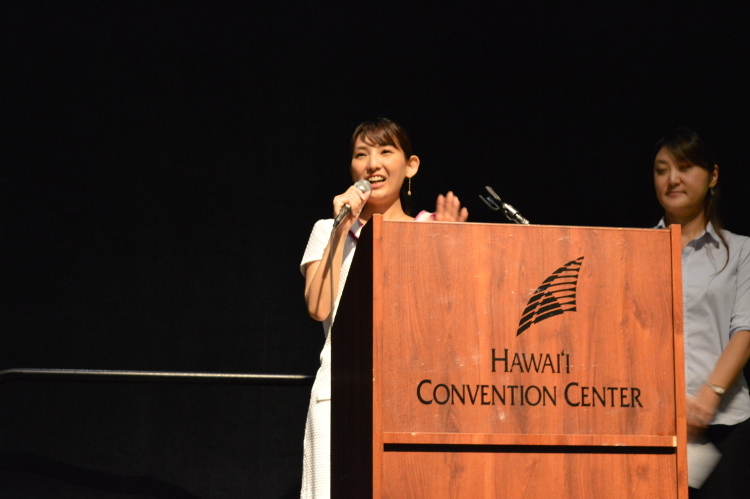 She has an affinity for Hawaii since her hometown back in Hokkaido is also an island. Moreover, she explained that everyone is entitled to their own opinion about the story but it is also true that every race and ethnic group feels similarly towards distress and suffering through their daily lives. Additionally, everybody wishes to be a well-being despite of one’s nationality and or race. Also, she wanted to express her message that all humans are equal. Hence, this film is a perfect choice for the Honolulu Festival which correlates with our theme of cultural exchange. On behalf of the recovery from Great East Japan Earthquake, Mission Impossible Samurai was shown which is the samurai movie based in Fukushima. The venue was filled with laughter while the samurais try to fulfill the unexpected demand given by the shogunate and entertain with their comical moves. All seats were full on the first day where over 50 guests ended up standing. The other films were full as well. 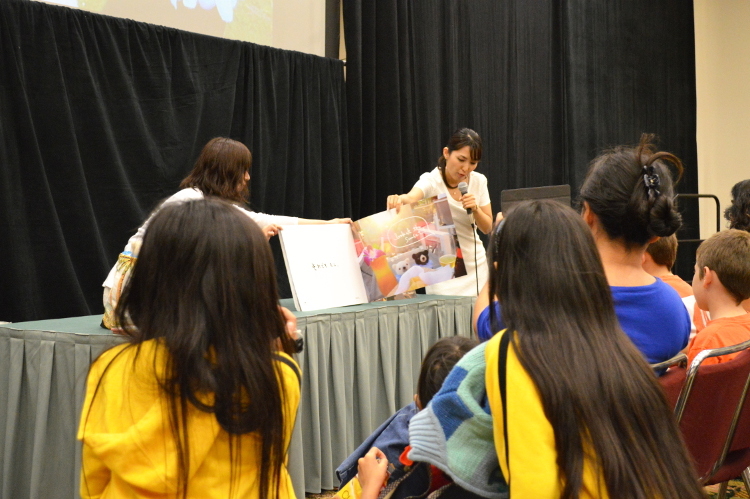 In addition, Sora who is also an author of a picture book held a special event and read one of her books called Shirokumakun & Kurokumakun in Hawaii. The children were intrigued by the story as the main character, Shirokumakun (white bear) and Kurokumakun (black bear) travels to Hawaii. When the shaved ice appeared in the story, some of the children shouted, “It looks yummy!” It felt as if there was a sense of unity among them. Furthermore, the movies and picture books can be seen as the world’s common entertainment. The use of media such as the video, music, design and so forth are necessity of cultural exchange to avoid language barriers. We would like to give a special thanks to the Consulate General of Japan! We will continue to bring more creative ideas for the cultural exchange activities for the Honolulu Festival in the future. Please look forward to the next Film Festival!